The Texas Annual Conference has a long history of disaster response around the world. Having frequently experienced our own natural disasters, we are well aware of the immense needs of humanitarian assistance in the aftermath of a disaster. 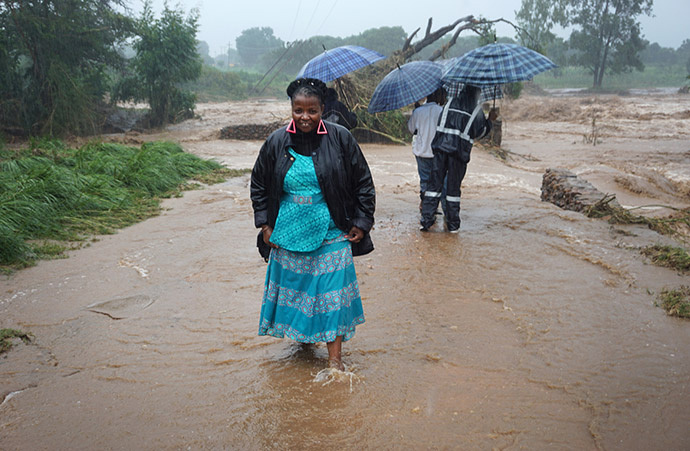 The past few weeks have seen devastation to our sisters and brothers in Malawi, Mozambique, and Zimbabwe following Cyclone Idai, to our extended family in the Midwest following record-breaking floods, and in the Southeast after a series of tornadoes tore through the region. All of these areas are still assessing the damage and the needs in their area. At this time, none of these areas have requested assistance from the Texas Annual Conference. However, through our connection and our ongoing partnership between the United Methodist Committee on Relief (UMCOR) and the Texas Annual Conference Mission Center in Conroe, we are in a unique position to provide material and financial assistance. The Mission Center is sending a shipment of 936 UMCOR cleaning kits to the UMCOR Sager Brown Depot in Baldwin, LA to supplement their response to the Midwest and Southeast. We are also encouraging members of the Texas Annual Conference to give financially to UMCOR's disaster response advances. UMCOR International Disaster Response Advance # 982450"
We continue to stand in solidarity with all of our sisters and brothers affected by natural disasters around the globe and to share our bounty with those who are suffering. 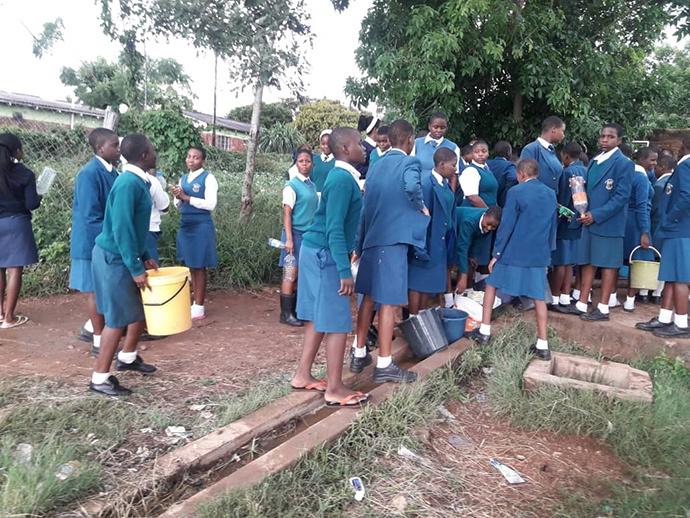 Lydia Chimonyo Girls High School students carry buckets to gather water at a borehole in Chimanimani. Photo by the Rev. Duncan Charwadza. Your prayers and generous support make this work possible.